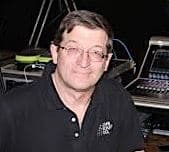 National RV electricity expert Mike Sokol will conduct two seminars June 8, 2019, at the Funkstown, Maryland Fire Hall (Engine 10), located at 2 S Westside Ave, Funkstown, MD 21734. The event just outside Hagertown is presented by RVtravel.com. There is ample parking, even for RVs, and the hall is handicap accessible. Driving distances from major cities: Philadelphia (3 hours), Baltimore (90 minutes), Washington, D.C. (90 minutes), Hagerstown (15 minutes), Harrisburg (90 minutes), Pittsburgh (3 hours). Classes are limited to 60 students in the basic seminar and 50 in the advanced seminar. A live webcast of the advanced seminar is also planned for those who can’t attend in person. Here are details of each seminar. Basic RV electricity testing and safety | 10:30 a.m. to 11:45 a.m.
• Testing a campground pedestal and how to plug into shore power. • How much power is available from 20-, 30- and 50-amp outlets. • Using dog-bone adapters and extension cords for shore power. • Testing for hot-skin/stray-voltage and what to do if you find one. • Surge protector basics and why you need one. Students who take the basic seminar will be qualified to take the advanced seminar. 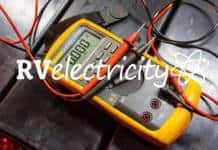 • Basics of voltage, amperage, resistance and wattage. • Using a digital meter to measure volts, amps and ohms. • Theory of 120/240-volt power in campground pedestals. • 12-volt DC system operation and troubleshooting. • Surge protector types and operating principles. • Voltage drop considerations for long cable runs. • Diagnosing and repairing hot-skin/stray-voltage. • Causes of melted shore power plugs. • Maintaining a healthy RV electrical system. • How to install an RV electrical pedestal at your home. • Portable generator selection, hookup, grounding and bonding. • Transfer switch operation and diagnostics. Please fill out the form if you are interested in attending either or both of the seminars. This does not obligate you to attend but simply gives us an idea of the potential crowd size. You’ll also have the first chance to register and submit any questions for Mike in advance. The advanced course is only for those who already have a basic working knowledge of RV electricity. See a list of all of Mike’s upcoming seminars. Next articleAh, camping! Your own outdoor movie theater! We’re working on a way to monetize the webcast, either through some kind of sponsorship or a nominal fee to viewers. The best solution would be to find some sort of grant from the RVIA or other campground agency, but they aren’t interested in supporting me. Believe me, I’ve tried. Right now I’m getting hundreds of questions a week about RV Electricity, and I’ll have to quit my day job if I’m to have any chance of keeping up. But I can’t afford to do this without monetary support.